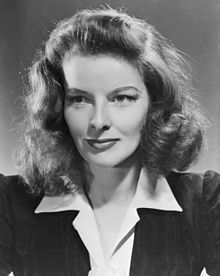 Katharine Houghton Hepburn (May 12, 1907 – June 29, 2003) was an American actress. Known for her fierce independence and spirited personality, Hepburn was a leading lady in Hollywood for more than 60 years. She appeared in a range of genres, from screwball comedy to literary drama, and she received a record four Academy Awards for Best Actress. In 1999, Hepburn was named by the American Film Institute the greatest female star of Classic Hollywood Cinema. Raised in Connecticut by wealthy, progressive parents, Hepburn began to act while studying at Bryn Mawr College.